Powerful 250 Watt motor with high copper content for unrivaled performance. 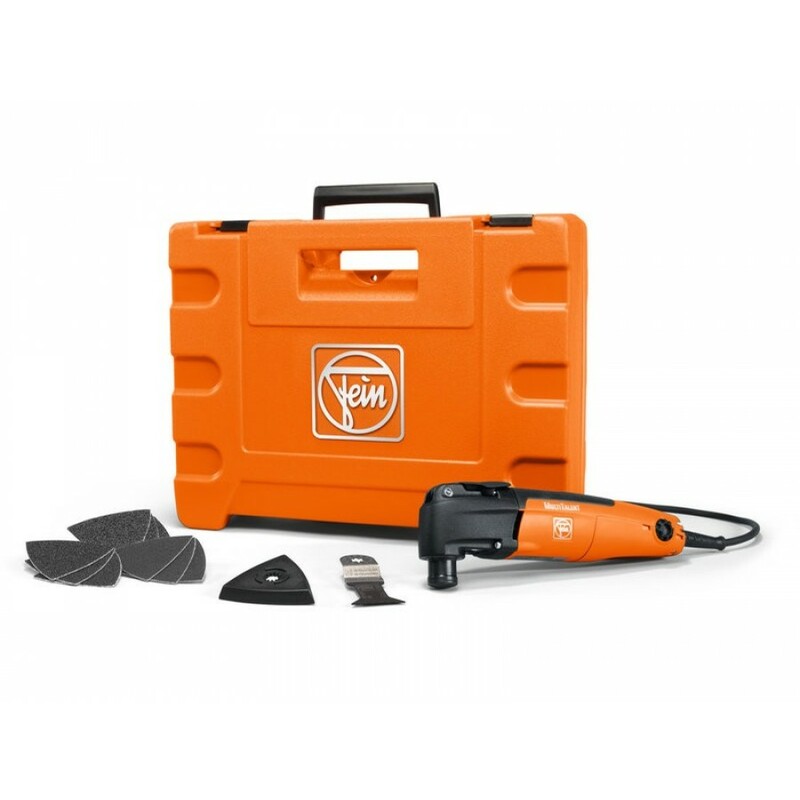 Patented QuickIN fast change system for convenient, easy tool changes without a wrench. 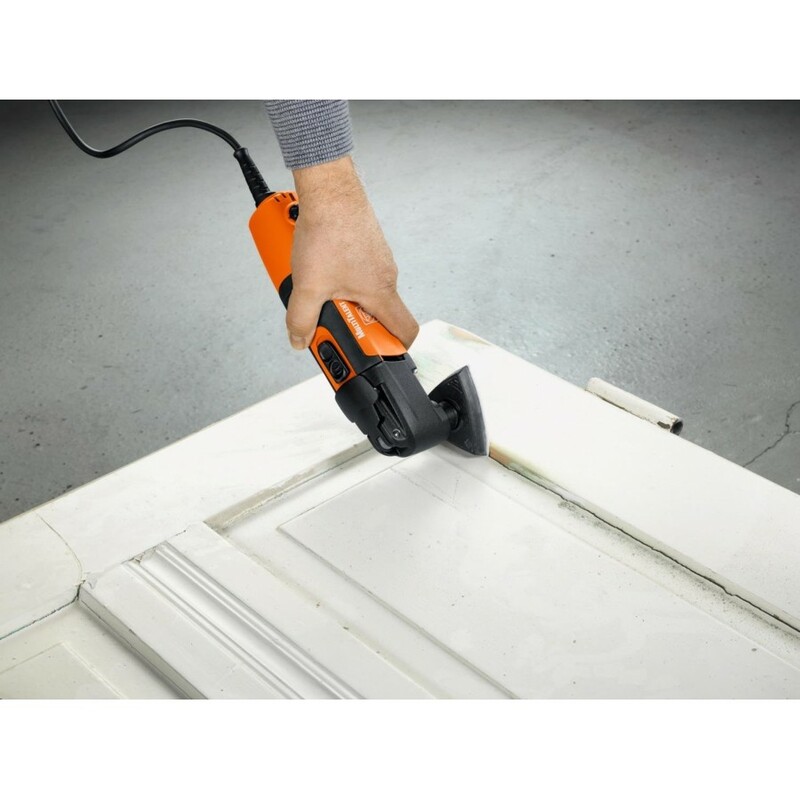 The FEIN MultiTalent, the gateway to professional class, is the perfect tool for all interior construction and installation work. Previously time-consuming manual work can be accomplished far more quickly and cost-effectively with the FEIN MultiTalent. 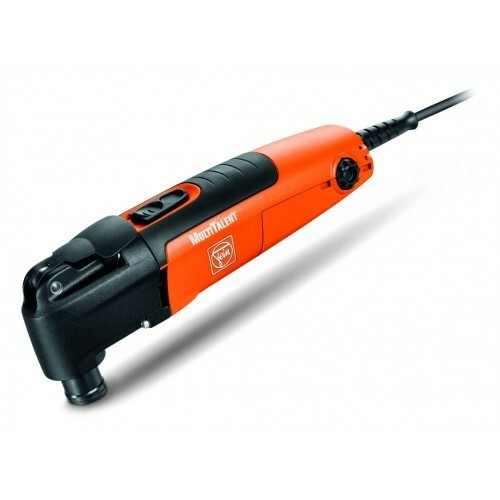 It performs in all applications from the finest cuts and sanding to heavy lumber construction and hardwood flooring installation. 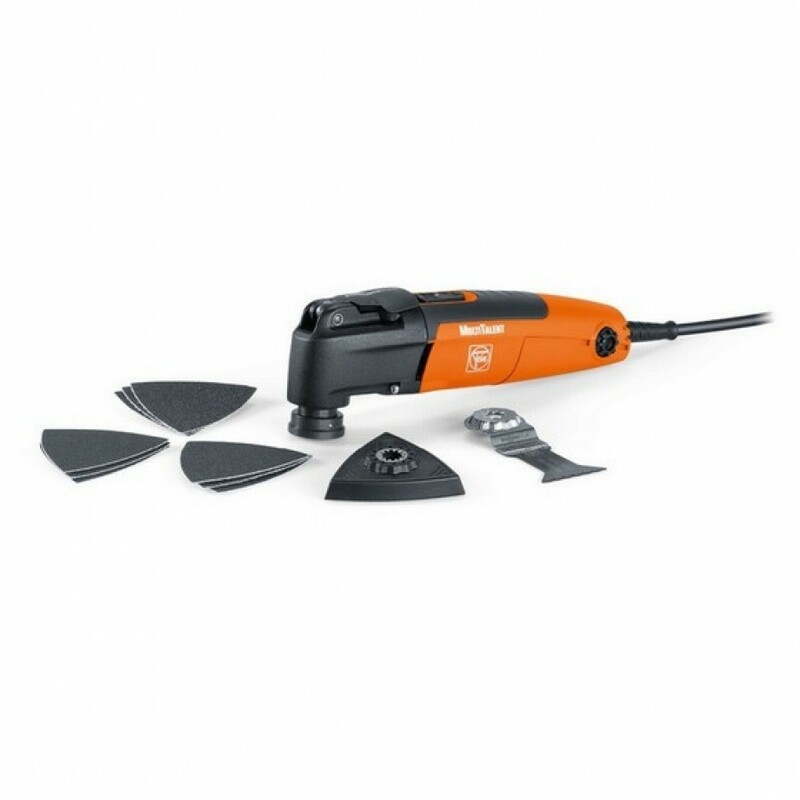 The FEIN MultiTalent impresses, especially in tight spaces, at angles, and in corners, and ensures faster less tiring work.